Progress can be at times a double edged sword. In the case of our bodies, progress in western medicines understanding of the inner workings of our organ systems, down to the cellular level, has lead to millions of lives saved every year. Ailments that once crippled and killed can now be prevented, managed and at times even cured. Unfortunately, along side this increased insight walks an assumption of knowing more than perhaps we actually do. At times this assumed knowledge only leads to unnecessary worry. No better example is seen than that of the assumed insights gleaned from musculoskeletal imaging. From the moment Wihelm Rontgen first saw the bones of his hand in 1895, a barrier to our internal structures was breached (1). 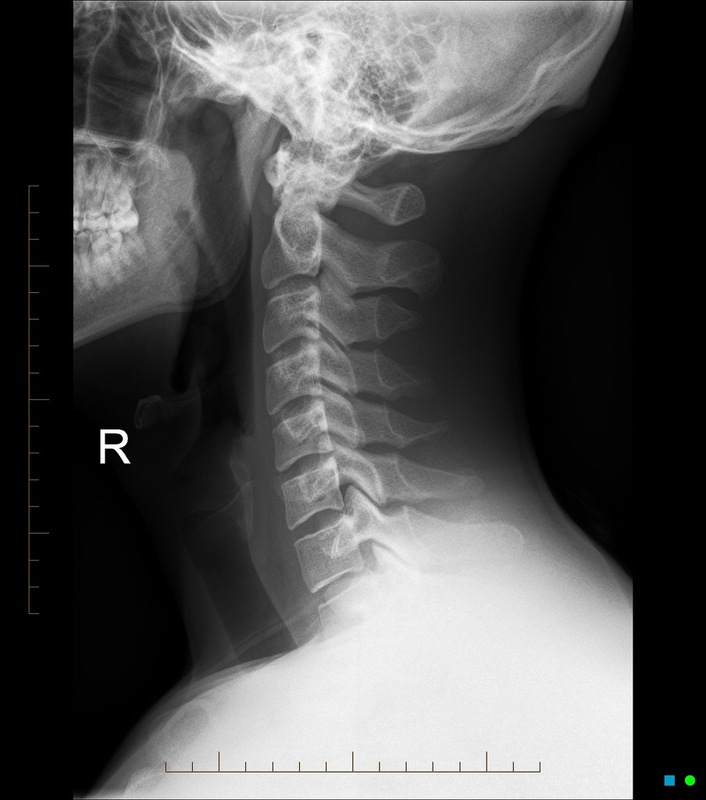 Radiographs became common in medical practice, and in 1971, with the invention of magnetic resonance imaging (MRI), further insights in the states of soft tissues could be observed. With the public at large now more educated on common medical testing than ever previously, it is now typical for imaging to be expected. As a result, it can at times be performed regardless of whether it is even warranted (2), leading to excessive medical costs, excessive radiation exposure, and often excessive worry about its results. With our modern day ability to peek under the proverbial hood of our bodies, there is a belief that this leads to improved prediction and understanding. In terms of orthopedics though, this is not always the case. In fact, despite common thought, changes on radiographic studies do not predict pain or disability when it comes to musculoskeletal imaging. This is so important it bears repeating; degenerative changes seen on imaging are not associated with any increases in pain or disability. This is well established in the existing body of literature, but not always put into practice, as anyone who has been told by professionals in both medicine and rehabilition that their symptoms should be accepted. After all; there was some degeneration observed. However, becuase it can be so hard to believe such a statement, it is best to simply ask what the existing body of evidence says on the matter. There is no better place to begin on this extensive list than spine related pain and problems. Most notably, back pain; the common cold (and in some cases influenza) of orthopeadic ailments. Most of us will experience it in our lifetime, and undoubtedly all of us know an individual who has been told they have various forms of degeneration in their backs. The thing is; degeneration is normal. 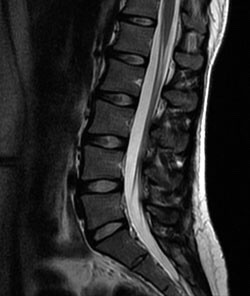 Several years ago MRI’s were performed on 98 asymptomatic individuals (20 to 80 years old) with no history of any significant back pain or back related issues (3). The results showed that 52% had a disc bulge at ar least one level, 27% a protrusion, and 1% an extrication. Literally 64% of the 98 asymptomatic individuals had what would qualify as an abnormality of a lumbar intervertebral disk. The likelihood of changes increased with age, as it was more common in older individuals than younger. These findings were backed up by a massive study published in 2015, looking at 33 published articles on the lumbar spine imaging findings of asymptomatic individuals (4). The result showed similar findings; out of 3110 symptom free individuals 37% of 20 years of age presented of disc degeneration, and 84% of those who were 80 years old did as well. Translation: it’s probably normal, not a problem and increasingly present the longer one is on this earth. Similar fingings of observable degeneration being commonly present in pain free persons has also been documented in the cervical spine, with degenerative changes increasingly prevalent with age (5,6). The question could then be asked; does degeneration seen now predict an increased likelihood of issues later? The answer appears to be “no“, as it has been shown that MRI findings are not predictive of future issues, even several years out (7). So our spines seem to change with time, it seems to be normal and not necessary with any issue. That is all fine and good, but what about all our other aching parts? What about our limbs? The disparity between radiographic and MRI findings and the individual’s pain and function levels is equally present throughout the body. One striking example is seen in the imaging findings of knee osteoarthritis in asymptomatic individuals. A large pool of studies examined individuals both and without knee pain, and compared their radiographic fingings (8). The proportion of with knee pain that were found to have knee OA ranged from 15% to 76%. The proportion of those who have no knee pain but radiographic evidence of OA was similarly 15% to 81%. That’s a fancy way of saying they look the same on the inside. Becuase of this, it is generally advised to allowed the patients history and symptomatic reports guide the diagnosis of knee OA, and only perform radiographic work up to confirm it and rule out other pathology (9, 10)The message we all should soak in is this; unless it truly feels broken, do not mess with it. To appreciate how one could have evidence in imaging of athritic changes with no symptoms, one should remember that cartilage is aneural (11). What this means is that you literally cannot feel it. What one can feel is if there is instability in the joint, or if there is a loss of motion. One can also feel the hypersensitivity of the surrounding tissues if and as swelling in the joint occurs (9). If there is a complete loss of carlitage and as a result there is bone contact where cartilage once was, that will most certain be felt, and if likely will not be pleasant (think whacking your shin, not a good experience). However, one cannot ever feel cartilage. Remember that the next time a radiograph shows a loss of it. A final example of normal age related changes that can be without symptoms is seen in the shoulder, and most notably with rotator cuff tears (RTC). Researchers looked at 441 individuals (ages 50 to over 80 years old) with asymptomatic shoulders, and performed ultrasound imaging of their RTC (12). What they observed was that 23% of the people had evidence of a RTC tear, with the prevalence increasing with age. In fact, 51% of the individuals over 80 years old had a torn RTC, all without reported symptoms. A seperate study showed that the only difference between an intact RTC and a torn one in symptoms with out pain was the torn shoulder lacked strength at arms length (13). However, it is good to note, these individuals had no pain, and perceived their shoulder to be fine. Due to this well documented disparity, it is suspected that there lies at times more harm than help at jumping to imaging of certain issues, as it has been shown that simply learning that changes are seen on imaging can result with long term decreases in sense of well being (14). This combined with the negative effects of excessive radiation exposure, and most notably that imaging of the spine does not influence the selection of therapeutic interventions in individuals with low back pain has resulted in recommendations to carefully weigh the costs to benefits of imaging (15). Ignorance can be bliss, and at times the assumptions we make hold us back more than push us forward. So what then are we to make of this all too common and all too often without issue degeneration? Take a look in the mirror, notice the wrinkles that may be on your forehead, and around your face (the pattern and depth all depending on your preferred emotional expressions). If you have spent a fair amount of time walking around in this life they may be deep set. This is degeneration, but it does not hurt or have problems. Often times, degenerative changes seen on imaging may only be wrinkles on the inside. All bodily systems will and do degrade, but the tipping point of where the bodies physical capacity to bear load and adapt is largely unknown. This is not to say that imaging is a waste of time; it is vitally important in ruling out significant problems. These include examining for systemic disease/cancer, most notably in the treatment of traumatic injuries, and also in conditions that have not been responsive to the rehabilitative process. Joints can and do degenerative beyond the point of function, and tendons can do the same. Surgery to change the anatomy (be it removal or repair of a tissue, or even a complete joint replacement) can be at times very necessary and restorative. With that, no sane surgeon would proceed without first taking a peak at what they make be cutting into. However, there are a great deal many things that can look a lot worse than they actually are. The symptoms simply must align with what is seen on the imaging. The take home from all of the above is this; be wary of what a little “knowledge” can breed. There are very few things truly known, and the nature of science is that assumptions and paradigms are always called into question as new revelations come to light. Our bodies will change with time, but the ability to adapt is almost always present. If individuals are able to have degenerative changes without pain or limitations, do your best to be one of them. Do not let an assumption unnecessarily handicap your capacity to live a full, comfortable and able life. Like leather we will all age, but that does not guarantee we will break before the grave. Posted in Physical therapy.Tagged Arthritis, Knee Pain, Low Back Pain, Pain, Rotator Cuff Tears, Shoulder Pain. Previous Post The Healthlift; training the deadlift for resilience and well being.